On-board laser guidance and night-vision/thermal sensing devices for military and other severe environment applications require infrared (IR) transmissive windows for target imaging. 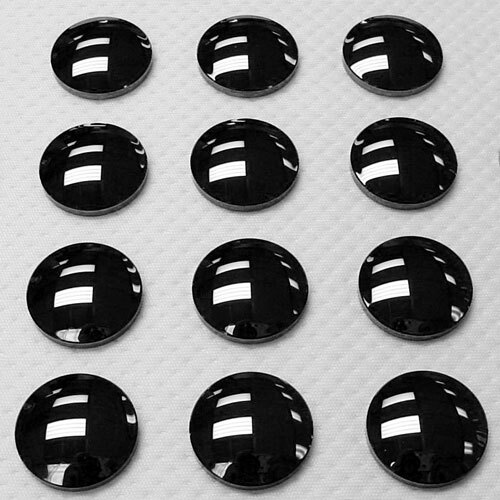 These windows, which vary from flats to spherical and aspheric lenses, are typically constructed from a variety of infrared transmissive glasses, including single crystal germanium (Ge) and silicon (Si). The inside and outside surfaces are polished or diamond-turned to a mirror finish and coated with micron-scale multi-layered thin films filters to reduce reflection of infrared light. 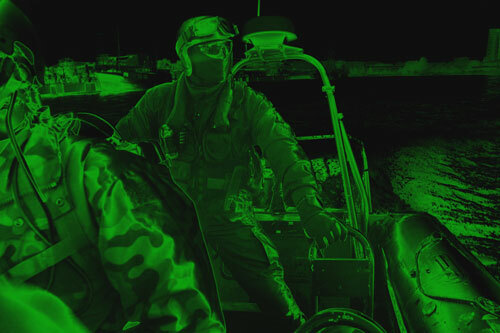 This results in maximum IR transmission essential to high sensitivity night vision/thermal imaging. Superior sensitivity enables longer stand-off distances, affording a safety margin for the warfighter while at the same time increasing mission effectiveness. IR window surfaces are often directly exposed to adverse sea, land and air environments, such as salt water spray, blowing desert sand or ballistic airborne debris. GENVAC has the proprietary capability to coat this surface with a hard carbon coating known as diamond-like carbon (DLC). Our DLC is a perfect optical match to the infrared glasses used for infrared optical components and is regarded as the most lubricious low-friction optical coating in existence. Our DLC is capable of withstanding sea water erosion, surviving sandstorm-like impact, resisting chemical attack, and hard enough to withstand mechanical damage. An IR window equipped with GENVAC’s DLC on the outside and high efficiency anti-reflective coatings on the inside will have greater than 95% transmission at a specified wavelength. GENVAC’s proprietary DLC multilayer coating has IR transmission equal to or greater than any competitive coating used in military and aerospace applications with superior adhesion. Since 2003 GENVAC has supplied custom infrared coatings for application wavelengths ranging from near-IR to beyond 30 um. These coatings have been qualified on infrared substrate materials including Ge, Si, ZnS, ZnSe, AMTIR, GA SIR, IG-5 and IG-6. GENVAC welcomes the opportunity to develop highly specialized infrared coatings, including dual-band, multi-band and visible/infrared band coatings.